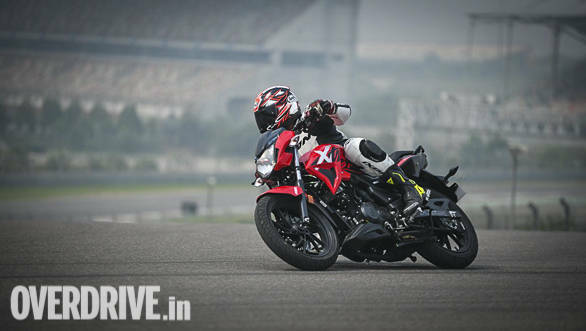 Hero gave us our first glimpse of the Xtreme 200R today at the Buddh International Circuit. This is a very important bike for Hero MotoCorp. 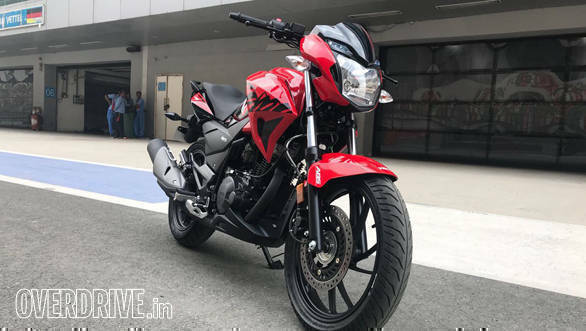 The Xtreme 200R is the first all-new motorcycle from Hero as well as the first serious push into the premium space for Hero MotoCorp since the updated Karizma ZMR failed to excite buyers. 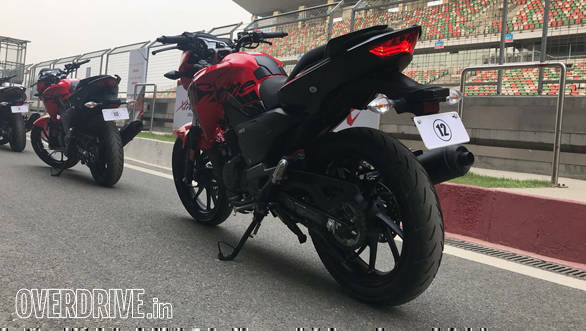 And Hero does have quite the task as well because the segment is quite crowded from established leaders like the Bajaj Pulsar to stunningly good 160s and 200s including the TVS Apaches RTR 160 and 200 4v, Suzuki's Gixxer, Honda resurgent Hornet, X-Blade and Unicorn, the Yamaha FZ16 and FZ25. That's a lot to competition for the Hero Xtreme 200R! Let's start with a little development history. In terms of styling, the Hero Xtreme 200R somewhat reminds us of previous iterations of the Xtreme that were on offer with a 150cc engine. 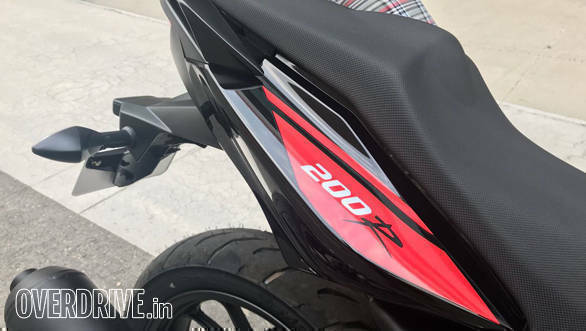 That said, the Xtreme 200R does look more appealing and is an aggressive looking naked with all the design cues found on current generation entry-level performance machines like tank extensions, a compact tailpiece with split grab rails and a belly-pan fairing. The bike is powered by a 200cc engine producing 18.4PS and 17Nm that is based on the Achiever 150's engine but has been developed further in-house at Hero MotoCorp's CIT (Centre for Innovation and Technology) at Jaipur. 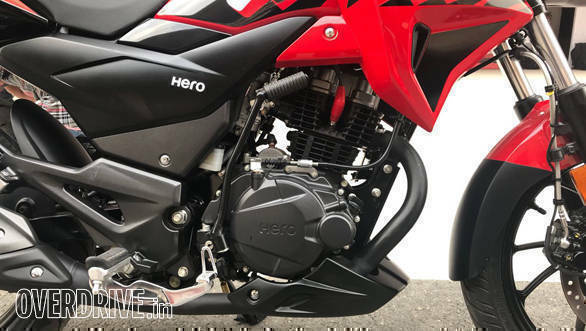 Hero MotoCorp tells us they have worked specifically on improving the engine's refinement levels further, which should be among the best in class. The Xtreme 200R gets a 5-speed gearbox and the engine refinement and as shift quality are good. 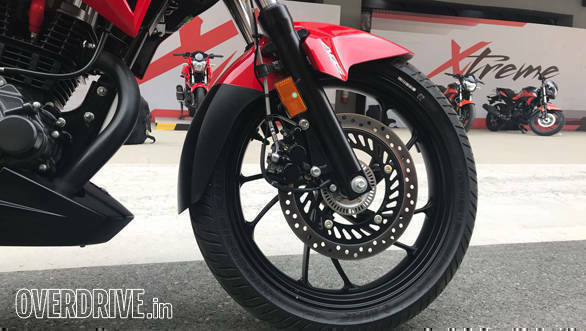 The Xtreme 200R comes equipped with disc brakes at both ends but more importantly, Hero has equipped the Xtreme 200R with single-channel ABS only, to keep costs in check. Hero will produce the non-ABS version for export markets. India will only get the single-channel ABS model. How is the Hero Xtreme 200R to ride? This is a very nice bike. The first thing you notice about it is that it feels grippy, almost plush but very well-balanced. Hero also underlines the fact that while the engine performance is modest, this is the most corner-happy motorcycle they've made yet. I'd have to agree. 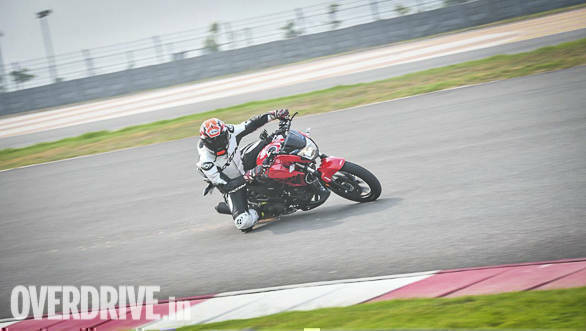 The Xtreme 200R doesn't feel like it has the guts to take a track as large as the BIC. But corner speeds are very high and grip from the MRF Nylogrip Zapper-FYM tyres is very very good. The suspension and the frame work well together and the Hero can be ridden very hard with great confidence. I am certainly excited to see how this bike will do in the real world now. 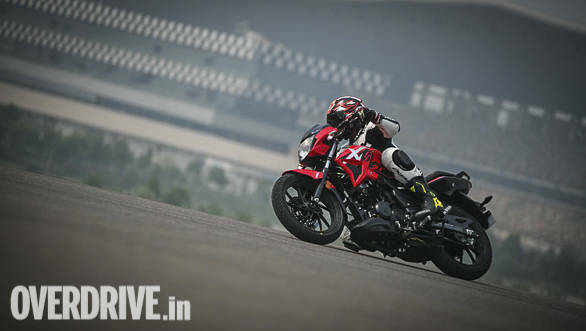 The Hero Xtreme 200R is a sweet entry to the 160-200cc market. Why such a large displacement band? Well, the Hero is specced on the low side overall. You do get steel braided brake hoses as well as ABS on the front 276mm disc. The instrument cluster is an analogue-digital one and looks similar to the previous Xtreme's, with a digital read out flanking a large tachometer. The headlight is not an LED unit though the pilot lights and tail light are all LEDs. But this is a carbureted motorcycle and so on and so forth. So while Hero hasn't yet announced a price, we expect it fall in the Rs 90,000 region at which it will be a likeable motorcycle and reasonable value. Welcome back to the premium motorcycle game, Hero. X-Pulse next?